A while back, I did a post on the documentary Welcome to the Club, which is a film on women in rockabilly music, by Beth Harrington. Lately, I have been in contact with Beth about my Master's thesis on women in rockabilly music and she told me about this amazing new project she is working on called The Winding Stream. 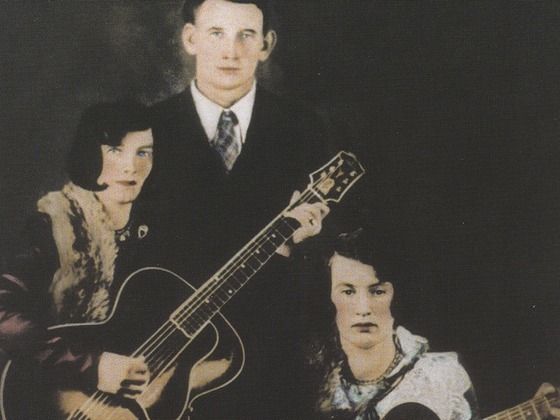 The documentary is an in-depth look at the Carter and Cash families and their music. If it is anything like her previous work, this film is going to be amazingly good. The documentary is in phase two of editing and they are raising funds through kickstarter. They need to raise $50,000 by the end of June to be able to move on in the project. There is something pretty special about the pledge perks that I want to point out to anyone thinking about pledging- if you pledge $50 you get a copy of Welcome to the Club, which is out of print and at $80 on amazon right now! I already have a copy and I'm thinking of pledging that amount just to get another one! I picked up Rebel Beat: The Story of LA Rockabilly to use as a source for my Master's thesis and quickly fell in love with it! Chock full of interviews and archival material, this documentary not only covers LA rockabilly, but also a history of rockabilly overall, especially after the revival in the 1970s & 80s. The music selection is great and if I wasn't already in love with Big Sandy I would be after watching this film! 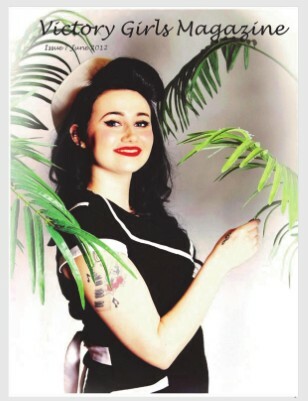 I also love the inclusion of rockabilly culture and how it has affected new generations, even if just for fashion. 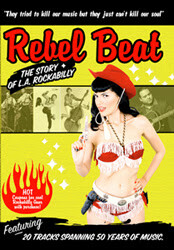 "Rebel Beat" interviews over 30 promoters (including legendary Rockin' Ronny Weiser of Rollin' Rock Records), musicians (including Glen Glenn, Ray Campi, Big Sandy, Dave Gonzales and Janis Martin), car customizers, DJs and dancers, plus features rare archival photos, vintage TV clips and music montages that highlight the fashion, cars, pomps, ink and dance moves of the pussycats and hound dogs of LA Rockabilly, a strange family who share the distinctly American bent to define reality on their own terms and an LA creativity for casting the past with the hand-picked heroes, making for one hell of a party. You can go to the website for more in-depth coverage of what is on the DVD and to buy it. At $12 (including shipping) the DVD is a steal. The filmmaker Elizabeth Blozan (Betty B) is passionate about the material and an all-around great gal, so please support her efforts!